Oats dehulling&separating equipment Model TFYM-1000 is the patented product of our company and is the independent intellectual property of our company. It is designed for dehull and separate your oats.It features compact design, easy operation. 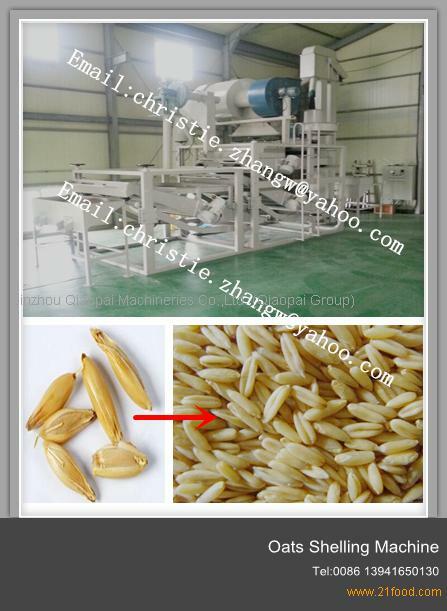 It's the leading equipment in China for oats processing on the technical specifications like high persentage of dehulling and high persentage of whole kernels. It's the optimum equipment for oats pre-treatment of oats, meanwhile the difficult problem to dehull oats has been solved properly. For more information,pls contact with Ms.Christie.